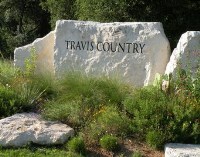 Just minutes from downtown Austin and Barton Creek mall, also minutes from Sunset Valley shopping and Dining. This 3 bedroom 2 1/2 bath has wooden floors, Plantation shutters, formal Dining, formal living, family room w/fireplace open to Kitchen and breakfast area. Stainless Stealing Appliances, game room upstairs with huge master down, Large walk in closet in master.